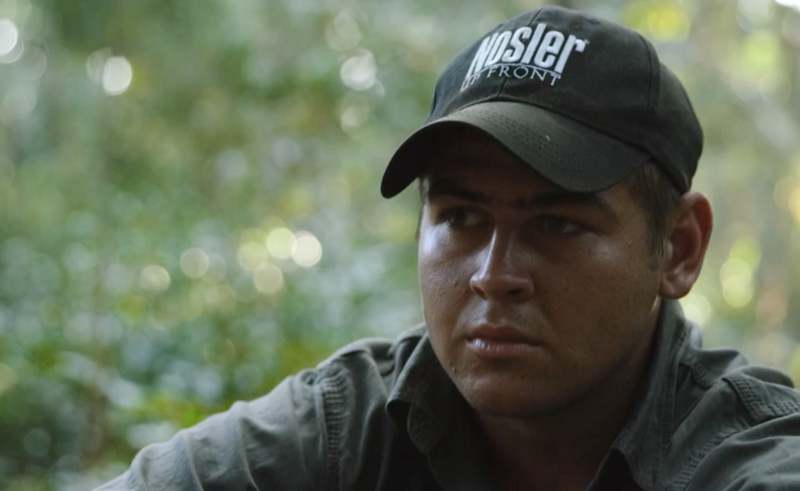 In this episode we saw the war that’s at play between the protectors of wildlife and the bushmeat trade. 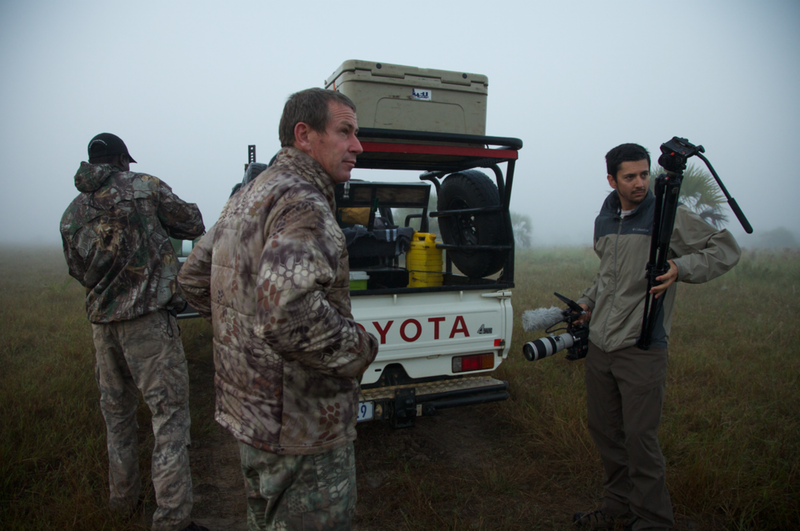 There is a lot more to this story than meets the eye, in fact, even though it was filmed in Coutada 11 in Mozambique, a hunting concession operated by Mark and Glen Haldane, this episode is truly representative of a battle that’s raging across the whole continent wherever wildlife occurs. In the case of the bushmeat trade across Africa, poachers can be divided into two broad groups – those that are poaching simply to feed their families, and those who operate commercially, in many cases thriving businesses deal with hundreds, even thousands of tons of bushmeat, procured illegally from the wildlife reserves. In this episode you see the two of the most commonly used methods of killing wildlife, the simple wire snare and the dreaded gin trap. 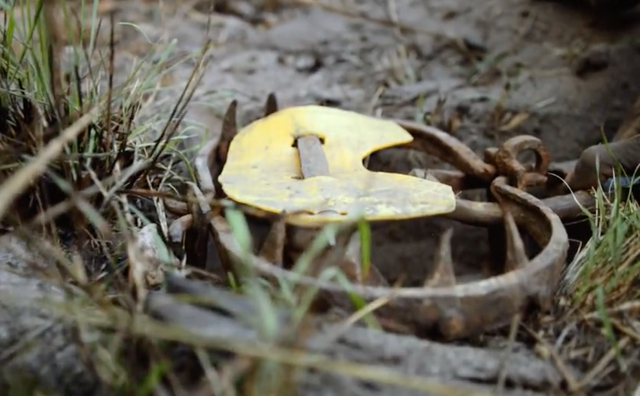 These traps are cheap to purchase and many poaching groups set literally hundreds of snares and traps in a season. In many other parts of Africa poachers will run wildlife down with dogs and finish it off with a spear. Although this does occur occasionally in Mozambique, the Tstetse fly in the area is our greatest friend, dogs bitten by it will die within a few days. The Haldane brothers in Coutada 11 run a spectacular anti-poaching operation with one of the most effective teams I have ever worked with. They utilize a large proportion of their profits from the hunting business that they conduct on the concession, and the anti-poaching efforts have resulted in a huge increase in the wild animal populations in the area. In 1995 an aerial survey across the whole region counted just 44 sable , today at the last count they numbered over 4000! Reedbuck and warthogs were also simple to count and in the early days a few hundred were counted – today counting them is impossible and they number in the tens of thousands. They catch a large number of poachers annually, and remove numerous traps, in 2014 alone they removed 104 gin traps, 1227 snares, and physically caught and convicted 127 poachers. If we estimate that each of those traps could, if managed properly, kill dozens of animals a year, you can conclude, as I have, that this saves thousands of head of game. The anti-poaching operation is not a cheap undertaking. With the initial cost of equipment being in the region of US$50,000, and its maintenance costing US$25 000 per year, the basic annual running expenses of the anti-poaching unit amount to US$100 000. The efficacy of what they do here is 100% linked to the budget that the Haldanes have set aside for the unit. Over the years they have, through generous donations and support, as well as their own profits, invested well over 1.5 million dollars into wildlife protection and child education. 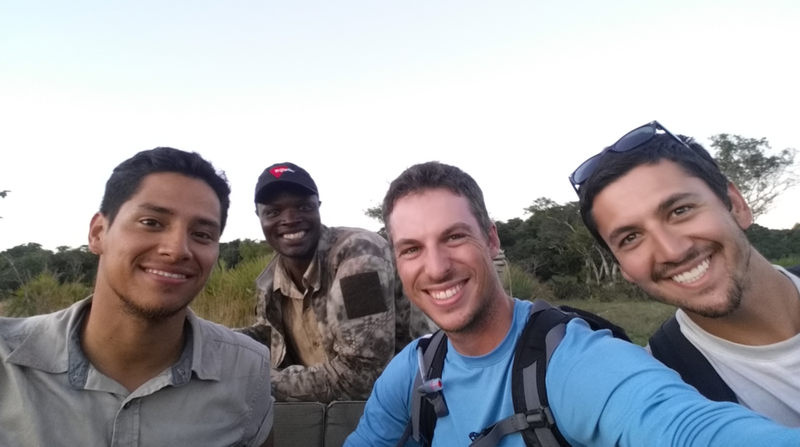 For this episode I joined forces with Mark and his team on the ground, led by Craig Vind, a young and enthusiastic conservationist. Mark’s anti-poaching team is seen in action. Having captured one of the gang we take a journey through his methods and techniques as he actually helps us in the location and capture of the rest of his group. Its an insightful episode and truly shows in a very true light this issue that’s raging across the continent – cat skins , particularly spotted cat skins (like this leopard) find their way through a lucrative and highly secretive underground network that supplies the tribal ceremony industry on the continent. In 1994, professional hunter Mark Haldane arrived in coastal Mozambique and found the region decimated. The once robust game populations had been reduced to almost nothing over the course of the nation’s fifteen year civil war, which ended in 1992. Buffalo numbers plummeted from an estimated 45,000 in the years before the war erupted to around 1,200 by 1994. Unverified rumors persisted of Russian gunships firing on herds of buffalo and consigning the animals out to canning ships. Waterbuck populations fell from an estimated 80,000 before the war to only 2,500 after it. The smaller game, such as suni and reedbuck, remained on the fringes of towns. When Haldane began the daunting task of resuscitating Coutada 11 as a successful wildlife area, he had his hands full. For starters, there was very little game, and poaching, either for market or sustenance, was rife. The game that remained survived in a region without strict game laws, or the manpower to enforce them. But the landscape in Coutada 11, known as The Delta, was a mix of swamp, flood plains, savanna, miombo woodlands and sand forests, and that diversity made the area a viable location for the rebuilding of game populations. As Haldane’s efforts to develop the area into a game rich one progressed, and wildlife numbers rebounded, poaching became a problem once more. To combat this, Haldane realized that he would have to dedicate time and money to concerted anti-poaching efforts. This year, 2015, as we became familiar with the area whilst filming the episode, we saw literally thousands of animals every single day. This is truly a huge success story that we are proud to use as a platform. Mark Haldane, visionary, conservationist, owner ZDS. 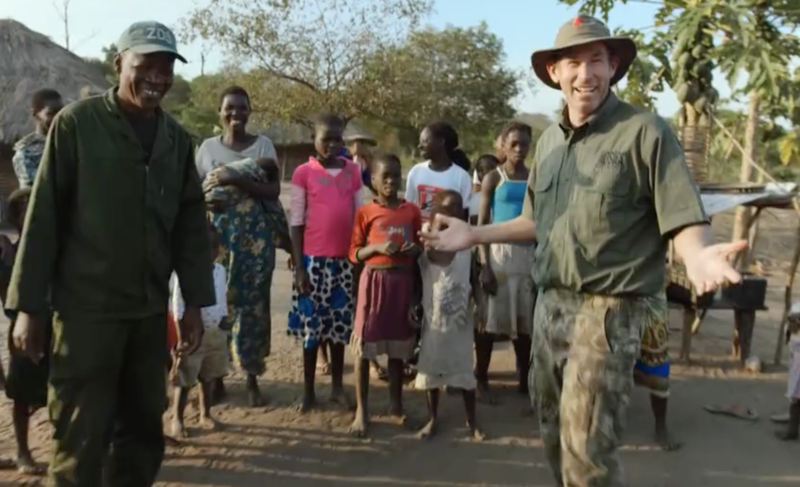 Craig Lindt, manager anti-poaching activities. Anti-poaching team , Unsung heroes of the wildlife world. If you would like to be a part of this amazing success story, if you would like to show your support of African wildlife, I urge you to click the “How can I help” button below. It will lead you to a page on my website where each and every cause that I worked with on the series is represented. We have identified a donation portal where we can guarantee that 100% of your contribution will reach the cause. A registered ‘not for profit’ will ensure that you receive the tax benefits. You will have confirmation that your donation reached the front line, and you will also be informed of how it was used.